Oláh Vince & EWSB move the borders of musical culture and the understanding of freedom. Travelling through emotions, space, time, mans tendency to go forward, to see farther, to live better. Oláh Vince & EWSB bring their own unique vision with a contemporary musical expression of historical, tourist and personal paths, past and present, in the history of mankind, of a solitary being, a family or a nation, there always were and will be migrations and movements as long as there are humans who came from somewhere and have somewhere to go. 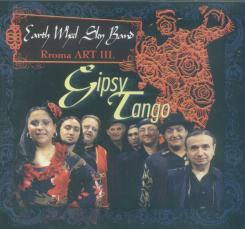 The fourth release by Serbian group Earth Wheel Sky band, titled The Gipsy Tango, finds the band a step further on their music ladder. 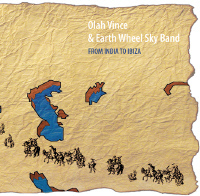 The band’s first two releases saw the band working both with contemporary and traditional arrangements, while keeping the integrity of music from the region they come from whereas the third one “ 21st Century”, was a collection of side works and collaborative projects that band leader Oláh Vince undertook with the band or without.  “The Gipsy Tango” finds the band merging gipsy music both from the north of Serbia, which is more under the influence of Hungarian folk music and brass instruments and uneven rhythms from the south. EWS-band draws with ease from a myriad of other forms such as flamenco, reggae, soul and each song draws you to its heart, and keeps you there. This is not the first time that the band does amalgamation of different traditions as on the previous records it was done with brilliant results on tracks such as “Chochec” (from Rroma Art) and Only a Man (from Waltz Rromano). The band’s playing is the first thing that will strike you as you start to listen to it. The EWS-band plays this music with exuberance and each musician plays with a buoyant, infectious energy. Especially arrangement wise it flows easily and is well balanced. The music ranges from soulful ballads such as the achingly beautiful “Gospel” or the dreamy “Free7/8” to folkish up tempo tracks such as “Crayngtime” and “Scheherezeda”. The album opens with “Gipsy Tango” and is soon followed by “Rumba Janika,” an upbeat track with a killer violin, swingin trumpet and wonderful rhythms. Other highlights include “ApsolutRromantic” and “Tikno Luludi”. 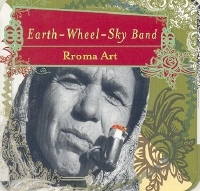 “Unexpected pleasure of the months is undoubtedly the Earth-Weel-Sky Band’s Rroma Art. The band are Gypsies from Vojvodina, the music comes from wherever Roma people have washed up. But the tensions and dinamics are pure rock’n’roll.” - David Hutcheon, Mojo, June 2002.